Since January 2018, new rules for the registration of vessels have been applied in Russia providing for the issuance of a temporary certificate of ownership on the next working day after the filing of documents for newly registered foreign vessels, but increasing the total time for registration actions to obtain basic documents up to 20 working days and including the RS in the system of state registration of ships. 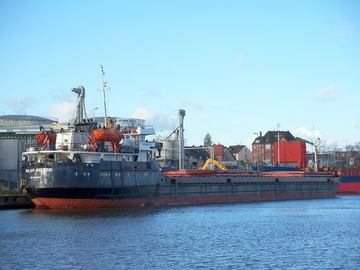 Lawyers from our company were involved in the transaction on behalf of the buyer of the vessel "Volgo-Balt 210" to provide legal assistance in the state registration of rights to the ship. The main complications of the deal were that the seller of the vessel, which is an open joint stock company, required a long procedure of approval of the transaction by the shareholders meeting, the number of which exceeded 3,000 individuals. In addition, the need for corporate changes and the alignment of the statute required the submission of a significant number of documents for registration. At the same time, a common concern for the parties of the deal was a new long twenty-day deadline for registration actions and an expanded list and form of documents to be submitted to the port captain. Meanwhile, due to the detailed preparation of a significant number of basic and additional documents submitted for state registration, the vessel was safely registered for a new owner in a time much less than twenty days. Currently, registration specialists from our Law Office are working to prepare for registration activities with an extensive fleet of ships, which will result in the possibility to generalize the practice of registering ships under the new rules in key Russian ports. St. Petersburg Law Offices "Inmarine" Pressing Service, 2018.